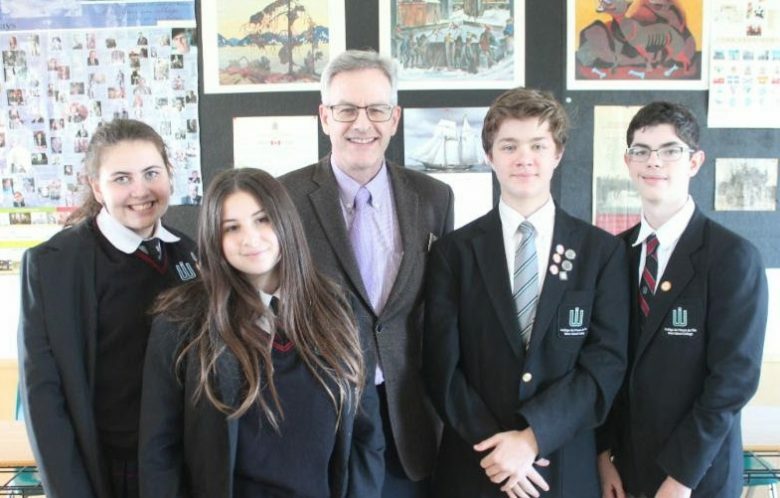 On the 19th and 20th of October, our Senior Debating Team took part in the McGill High School British Parliamentary Championships, organized by the McGill Debating Union. They were accompanied by their coach, Mr. Stevens and competed against students from across Canada and the United States. Students Alexa, Amanda, Jonathan and Adrien were frequently up against opponents from older age groups. Of the six rounds in which they competed, each team came away with two firsts. Congratulations to all for demonstrating the ability to think on their feet and remain calm under pressure. Special recognition goes to Alexa, for placing 13th out of 41 junior debaters.